It was on Tuesday morning earlier this week that I padded downstairs in the pre-dawn darkness, fired up the coffee, and heard it, the relentless pitter patter of steady rain on our roof. At first I was taken aback as we’ve had an unusually dry summer here and the sound was strange. Then, it sunk in: it was raining. This wasn’t one of those quick 10-minute showers; this was a classic Central Virginia all-day soaker, I could just tell. I sat down with my coffee and looked out the window. In the gloaming, I could see the merciless rain running down the windows and soaking the streets of town. I thought, Maybe I can squeeze in a quick one after work? Even as I thought it, I knew full well that I couldn’t. Perhaps I am due for a rest day? Nope, not today, either. I drained my coffee, laced up my shoes, and stepped out onto the front porch. I was still undercover but I could just feel the cold, wet chill for the first time in months. I pushed the button on my watch and stuck my arm out into the rain. “Okay, once the GPS beeps, I’ll start running!” I said aloud, secretly hoping that for some reason the satellites would be turned off or something today. When it beeped, I did it. I stepped slowly off the stoop, jogged across the lawn, and bopped out onto the streets to begin my innocent, little five-mile loop. Within five minutes, my singlet and shorts were soaked through. After 10 minutes, every footfall came with a resounding ‘squish,’ much like the sound of a sponge being rung out to dry. Surprisingly, when I hit the two-mile mark, and daylight finally allowed me to see my watch, I realized that I was actually moving along pretty well. Even through the dreary rain, I had a little bit of a spring in my step and felt smooth on the uphills. By mile three, I had actually forgotten about the rain. The kids huddling under umbrellas waiting for the school bus looked at me oddly, their parents drove by smugly as I began to pick up my pace, and all the while the rain teemed down. I blew water off my lips and ran along, smiling for the first time. Arriving back at the house soaked and refreshed, I was ready and willing to greet the day, however dreary. What my little five miler had quickly taught me was that in running as in life, sometimes you need to brush aside the little annoyances and focus on what’s most important. For me, on this later-summer morning, the rain and the darkness were just an annoyance, my run was the focus, and the focus is what matters. It’s easy to bail and stick with what’s comfortable and close, but it’s the stuff that’s uncomfortable, the stuff you have to stretch and reach for that ultimately makes us better runners and, at the same time, better people. This week’s Beer of the Week is a great one from Bell’s Brewery in Comstock, Michigan. 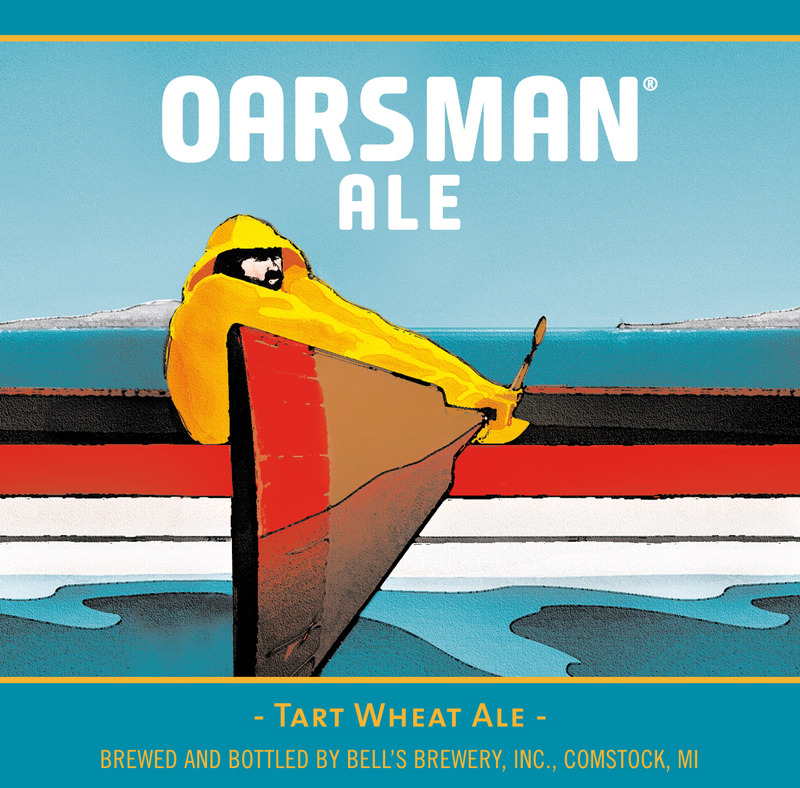 They make an excellent wheat ale called Oarsman Ale that’s been a staple of their brand for 10 years. A refreshing ale that is tart and fruity all at once, Oarsman is sessionable and easy drinking. Just right for this time of year. Have you gone grudgingly out into bad weather for a run but come back happy and unaffected by it? Have you ever found yourself becoming uneccessarily bothered by the little details of running and life that you can’t control? How did you reset your perspective? I love rainy day runs! As long as the wind isn’t too bad and there’s no lightning, they’re so refreshing! Just have to stock up on newspaper to dry out your shoes after. Cheers! Once off the porch and committed, a run in the rain is always a good run! Nicely written. You perfectly capture the apprehension before a rain-run which is inevitably followed by a surprisingly good time. For some reason, If I am wearing a hat and can keep some of the rain off of my face, the rain ends up being okay. Then I have (internal only) bragging rights for the rest of the day! I actually took a day off Tuesday and did 3 hill repeats of Jarmens Gap Road Tuesday! Loved it. Ran that same day, just a bit farther north in VA. One of the reasons was seeing on Strava that AJW and another VA runner I follow, and admire, had gone out and gotten it done. I’d have to say it was one my better weekday runs of the year though I titled it ‘slog through the bog’. There’s a certain tranquility I find on my rainy runs. The hubbub of the world’s hustle is dialed down a bit, and I enjoy a deeper feeling of peace. Perhaps it is just that there are fewer people out and about. Whatever The reason, the rain stops being my adversary with those first few steps. This is a beautiful little story AJW. I will lace up next time I hear the rain on my window. Yes, beautiful words to help express what I so often feel as a consistent outdoor runner in a cool maritime climate. With a visor to protect my face I actually often prefer to be rain-soaked over sweat-soaked, fondly thinking of our frequent cool rains as an “auto-sweat machine”. Half the year I run while it is still dark. The most difficult moment is looking out from a dry house into the rain falling near our front door’s security light, but as soon as we are out in it that apprehension usually does “wash” away, leaving behind tranquility and an immersive sense of oneness and belonging. Most of us grew up in a culture which taught us to avoid and disdain rain, that to do otherwise is unwise or abnormal. 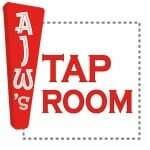 Thank you AJW for allowing us to feel that it’s okay to question that conventional wisdom.